In the past two decades, incredible progress has been made in the fight against HIV in the United States. Through a steady stream of innovation, more people living with HIV are leading longer, healthier lives. But the work is far from over. According to the CDC, as of 2014, 45 percent of people living with HIV in the U.S. are now 50 years old or older, and by 2020 that percentage is estimated to reach 70 percent. This aging population faces a unique set of challenges that we at Gilead are working to address. 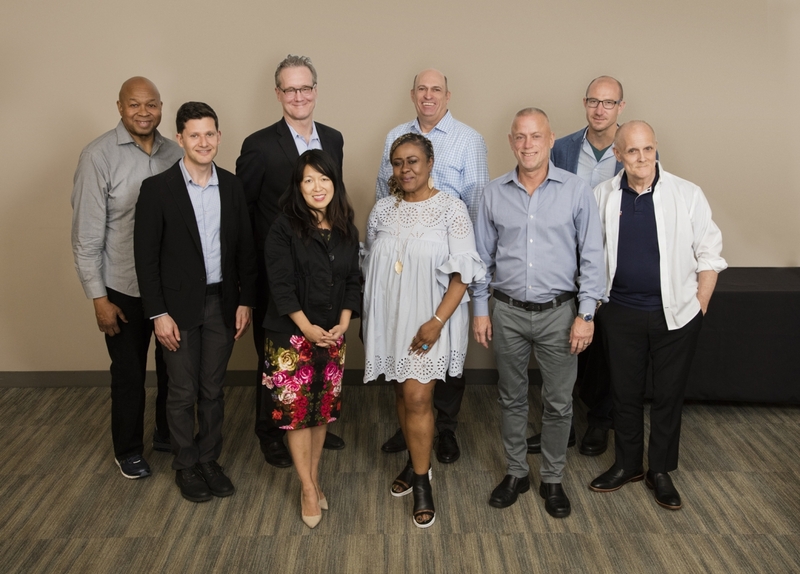 In keeping with our vision to provide continued support for people with HIV, we convened our first advisory board meeting last month with several key partners who are essential to addressing the unmet needs of those aging with HIV. These included healthcare providers, researchers and community advocates from AIDS Project LA, TPAN, the University of Pittsburgh, Boston University, ACRIA, University of California, San Diego, HTW Campaign, SAGE and HIV Vaccine Trials Network. Over two days, we worked closely with this team of experts to define the scope of the issue, identify the challenges it poses, and create a list of potential solutions that can offer much-needed support to those living with HIV as they age. A recurring theme of our discussion was that no solutions can likely be achieved without first addressing the collective challenges that exist within both the healthcare system and the general community that are intrinsically merged together. That’s why we will seek to partner with a range of organizations—from healthcare clinics to advocacy groups—to collaborate in new innovative ways. For instance, one approach we identified is to address the persistent stigma that many people living with HIV—including those who are aging—still face. The stigma isn’t just around having HIV—it’s also tied to other factors such as sexual orientation, the presence of co-morbidities associated with HIV and aging, and even just aging itself. Those who face stigma may also face additional struggles such as isolation and loneliness, which in turn can contribute to mental health issues like depression and substance use. The “perfect storm” of these challenges can make it difficult to coordinate quality care. As a result, many providers and organizations may not have the education or resources necessary to holistically address the needs of those living and aging with HIV. We discussed a variety of possible strategic approaches to reducing loneliness and stigma while implementing more creative solutions to improve the overall quality of life for patients. For example, there is a need for greater emphasis on home-based care and expanded opportunities for connection—such as entertainment and socializing activities, substance use programs, and workforce training. We also talked about several novel networking solutions to reduce isolation—ranging from social lunches and intergenerational dinners to technological approaches. To help promote better care, healthcare providers and community-based organizations should strive to continue building coalitions that can provide services designed specifically for the unique needs of people living and aging with HIV. One approach can be connecting infectious disease physicians, pharmacists and other providers with specialists in geriatric care. It’s also crucial to bring together organizations that run complementary programs for aging individuals living with HIV, while also supporting newer organizations that want to make it their primary mission to serve and support people living and aging with HIV. We intend to issue a Request for Proposals to organizations interested in being a part of such solutions. Thanks to the improvements in medicine and care approaches, HIV no longer has to be a death sentence. Our challenge now is to help those affected by HIV continue to live the healthiest life possible as they age. I’m energized by the commitment and combined creativity and insights that our team of advisors is bringing to the table, and feel optimistic about the opportunity we have to improve the lives of so many.